ELIZABETH CITY, NC - In the world of luxury trucks there are few, but Ram dives head first into the luxury truck pool with the Ram Rebel and the Laramie. 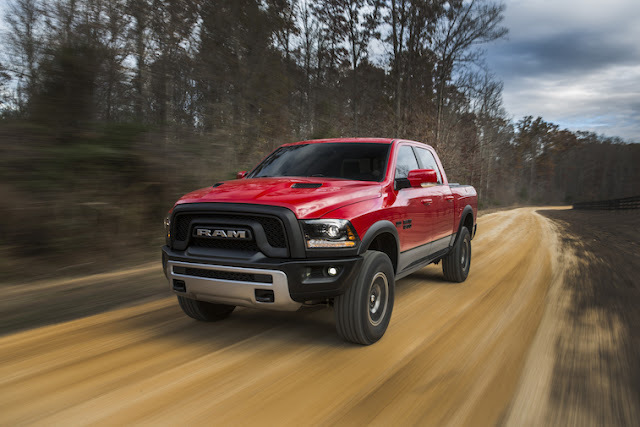 The demand for pick-up trucks with the interior of a luxury SUV is interestingly on the rise, and Ram is definitely taking the challenge head on. Both of the truck models are priced understandably high at over $50,000, but it makes sense when all of the features are considered. Let's start with the Ram Rebel (we have to admit, we're OBSESSED with the name! ), which is a workhorse that's been completely optimized to do well on less-than-friendly terrain. Upgrades include a factory lift, skid plates and tow hooks over the stock Ram 1500, plus the name "RAM" has been emphasized and embossed at every available opportunity. The Rebel's main competition includes the Toyota Tundra TRD Pro and Ford's F-150 Raptor. The Laramie comes equipped with a 5.7 liter V8 rear-wheel drive, and will have a starting base cost of just over $51,000. Ram indeed highlights the fact that the new Laramie Limited is more geared for well-heeled suburban chrome enthusiasts than cattle famers who would use the truck for actual "truck" work. However, this is a rapidly growing segment. Many people want to have the look and attitude of a pick-up truck, but the luxury of a first class suburban-like car. The premium feature list is long, and includes things such as all-black leather seating, real wood interior components and unique badges. When all is said and done, the Laramie could potentially run anyone just over $57,000 with the diesel and 4x4, before the pick-and-choose options are applied. 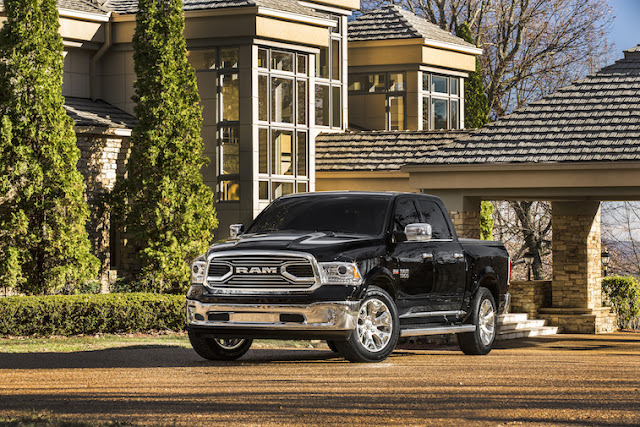 Ram dives head first into the luxury truck pool, and is not alone as it joins with Ford Motor Co. as the the only automaker with a full-size truck that doesn't offer a midsize alongside it. You can bet that Perry Auto is your spot for all of the Ram truck models! Feel free to stop and take one out for a test drive today! Perry Auto Group has two dealership locations to serve you better at 1005 W. Ehringhaus St, Elizabeth City, NC, 27909 or 1001 Halstead Blvd Elizabeth City, NC 27909. Feel free to call us with any questions at (252) 338-9100.